Defence Housing Authority (DHA) Bahawalpur Punjab. 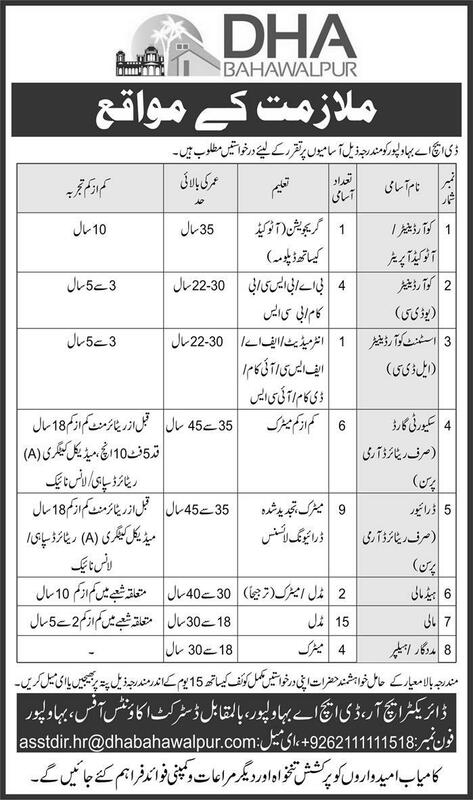 Interested Candidates submit their Applications along with all attended relevant documents to the following mailing address: Director HR, Defence Housing Authority (DHA) Opps: District Accounts Office, Bahawalpur. latest by within 15 Days Publication of this advertisement. Opps: District Accounts Office, Bahawalpur.